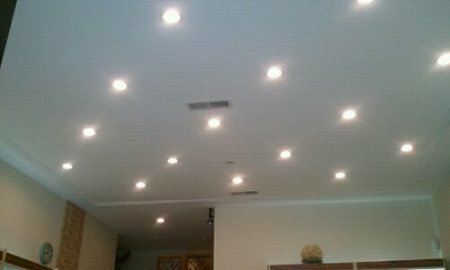 Too many recessed lights can have you seeing stars. Also known as “can” lights thanks to their cylindrical shape, recessed lights are inexpensive, work well with low ceilings (where clearance is an issue), and get the job done. They’re common in new construction, but there are “remodel” housings available, too. Cans offer a clean and modern look, but let’s face it, they lack personality. What if you have a recessed can light where you’d rather see a surface-mount fixture? Changing the recessed housing to an electrical box is a situation that typically requires hiring an electrician. That could cost roughly $200 per fixture, according to New York-based general contractor Colin Campbell of Campbell Construction. Plus, the sheetrock around the fixture would need to be replaced and painted, making the project even more expensive to tackle—$200 or $300 total per fixture, depending on the surface area involved. And that’s before you add in the cost of the replacement fixture. The Portland, OR-based purveyor of unique lighting and hardware Rejuvenation offers a more cost-efficient way to change out a can light. 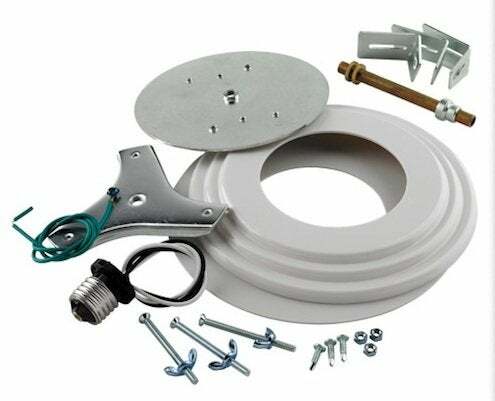 The company can light conversion kit costs just $46 and works for existing 5″ or 6″ incandescent recessed lights of the “new construction” variety, meaning the kind suspended by hang bars. Any experienced DIYer should be able to tackle the switch. It could be worth trying out this can conversion kit next time you’re in the market for a lighting change. The money you save can be put towards buying a terrific new fixture—semi-flush or flush, surface-mount or pendant. Shown is the Porter light in the Old Brass finish, $205 from Rejuvenation. 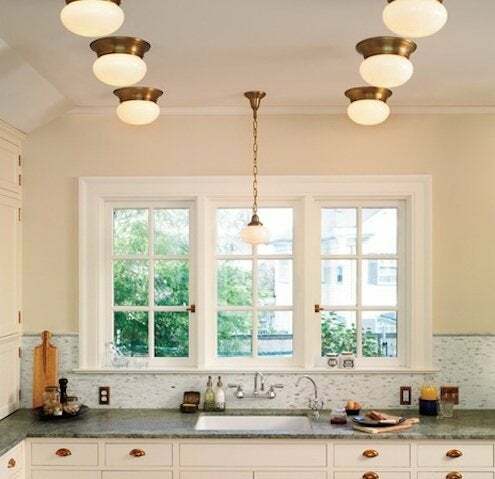 Porter light fixtures replaced a bevy of recessed lights, adding character to this kitchen’s ceiling.